Size does not matter. Chia seeds are proof. These tiny, edible seeds, native to Mexico and other South American nations have been around since the Mayan and Aztec cultures. In fact, Chia in the Mayan language means strength”, symbolizing the high nutritional value this grain food possesses. The nutritional benefits of Chia seeds along with its nutty flavour make it easy to add them to various foods and beverages like Falooda, yoghurt, baked food, sauces etc. Even Dr Oz mentioned Chia seeds as the “healthiest things around. Let’s see some of the amazing health benefits of chia seeds. Without a doubt. Proteins, Fiber, Carbohydrates, Calcium, Manganese, Zinc, Vitamin B1, B2, B3, Potassium. It’s all there. They are packed with antioxidants that fight against free radicals to protect molecular and cell damage and contribute to reducing risks of cancer and ageing. They are the richest plant source of omega 3 fatty acids – even more than salmon! This makes chia seeds the best calorie for calorie food grain. The high protein and fibre content in chia seeds can help easy weight loss. The gel around the seeds is practically calorie free and helps you keep full longer and curb appetite. Combining them in foods along and following a healthy exercise routine can be a welcome addition to your weight loss plan. A study has shown that chia seeds along with oats, soy and nopal reduces the levels of LDL cholesterol and increase HDL cholesterol. The high amounts of protein and fibre also help in improving metabolic health. These tiny seeds also reduce blood pressure. 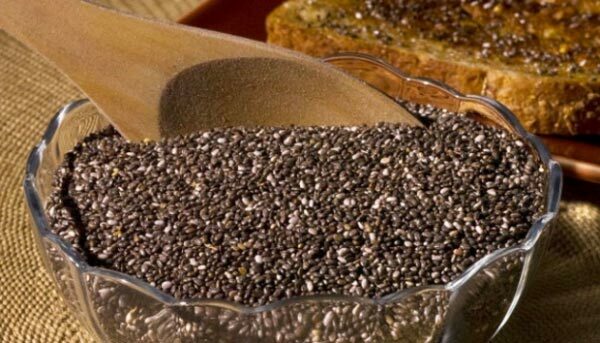 The best use of Chia seeds has been for Type 2 diabetes. Several health markers have shown significant improvements in studies, possibly due to its high fibre content that could help decrease insulin resistance. Two tablespoons of chia seeds contain almost 18% of the recommended daily allowance of calcium, much more than dairy products which contribute to maintaining bone health. In fact, you can substitute chia seeds for any dairy product for your daily calcium needs.